At JCF, we are proud to work with community members in their 20s, 30s and 40s that are the second generation in their family to be significant philanthropists. We use tools developed by the professionals at 21/64, a non-profit consulting practice, to engage multiple generations within families and strengthen our working relationships with them regarding their philanthropy. 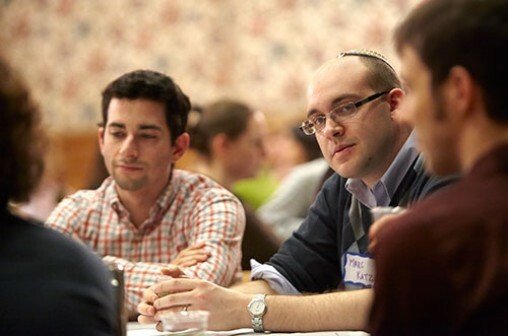 This is important because never before in American Jewish life have there been so many families of means with multiple generations available to work together on philanthropy. Better health care means people are living longer, and it’s more likely today than ever before that three or even four generations of a family might have the opportunity to work together on their charitable pursuits. The presence of so many generations together at the same time offers a tremendous opportunity for passing down tradition(s) and creating new ways to practice tikkun olam (repairing the world) and areyvut (Jewish mutual responsibility). At JCF, we’re engaging Next Gen donors — and their parents and grandparents — to create a richer understanding of each family’s philanthropic history and each individual’s role in that family. Hopefully we will help to ensure meaningful and engaging experiences for those with whom we’re fortunate to work. Not sure if you’re Next Gen? Check out this JCF Blog.